Beaver Bank, Nova Scotia – Halifax District RCMP is investigating a suspicious fire that happened on January 29 at a home on Glen Rise Dr. in Beaver Bank. 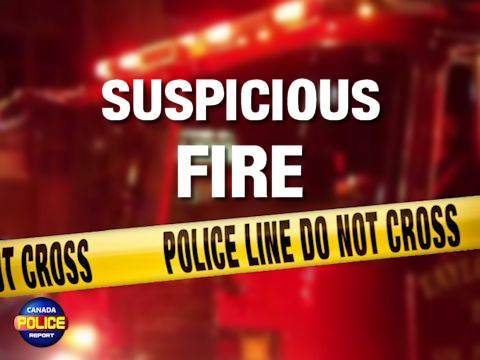 At approximately 12 p.m., police received a call of smoke coming from the residence. RCMP attended along with Halifax Regional Fire and Emergency. No one was inside the building at the time of the fire. The fire was extinguished quickly and significant damage was done to the building. The fire was determined to be suspicious in nature. The investigation is ongoing and is being led by Halifax District RCMP with assistance from the Nova Scotia Office of the Fire Marshal. Anyone with information about this incident is asked to contact Halifax District RCMP at 902 490-5020. Should you wish to remain anonymous, call Nova Scotia Crime Stoppers toll free at 1-800-222-TIPS (8477), submit a secure web tip at www.crimestoppers.ns.ca, or use the P3 Tips App.